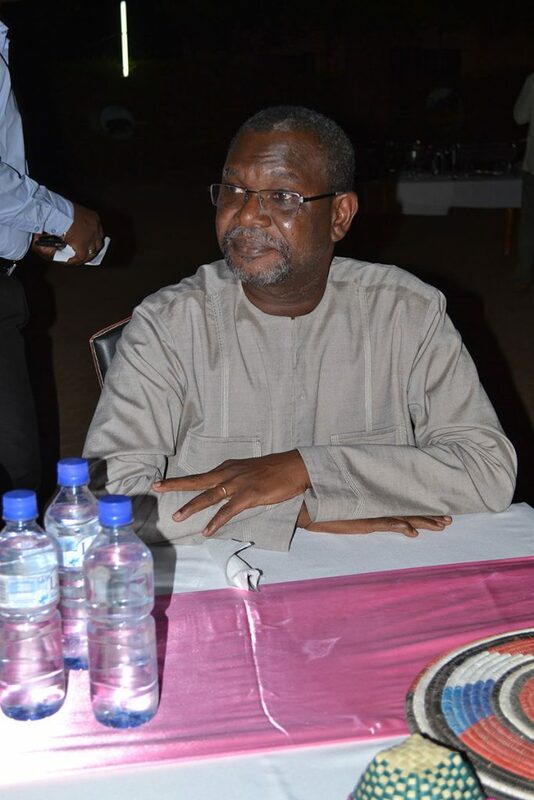 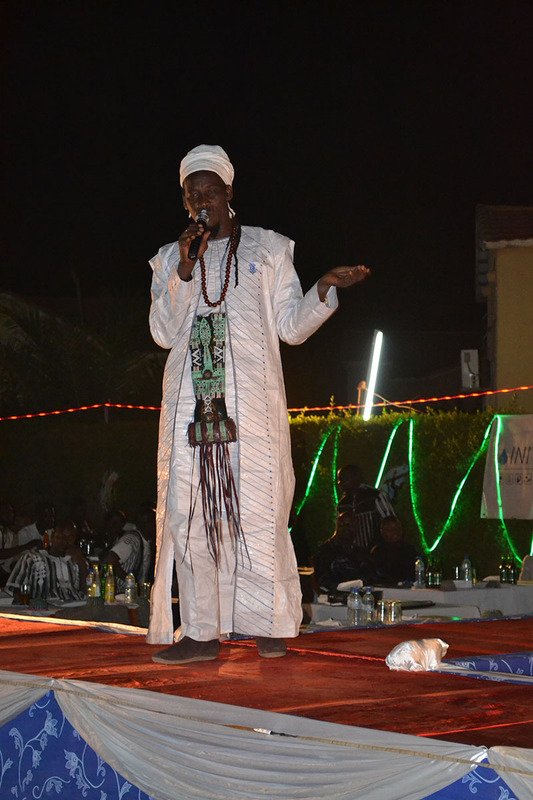 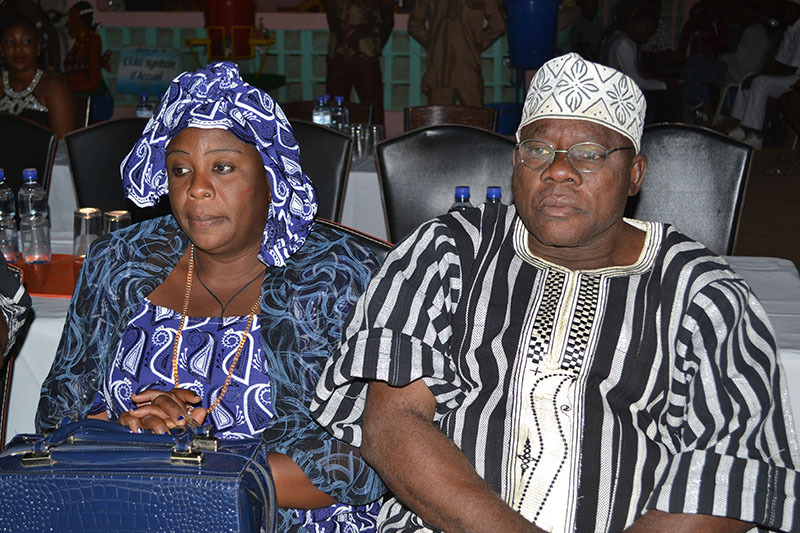 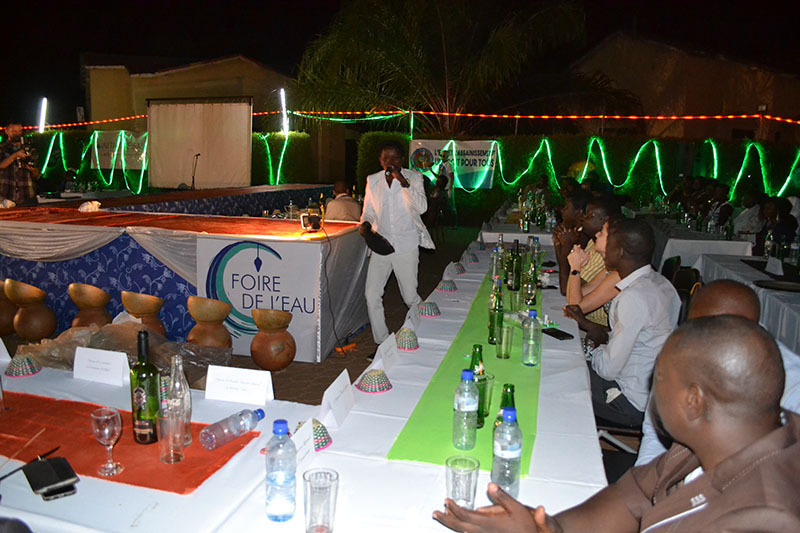 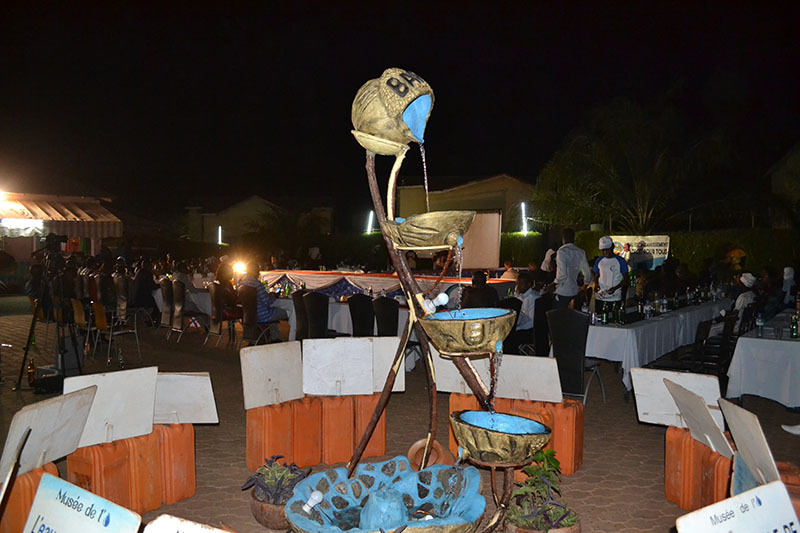 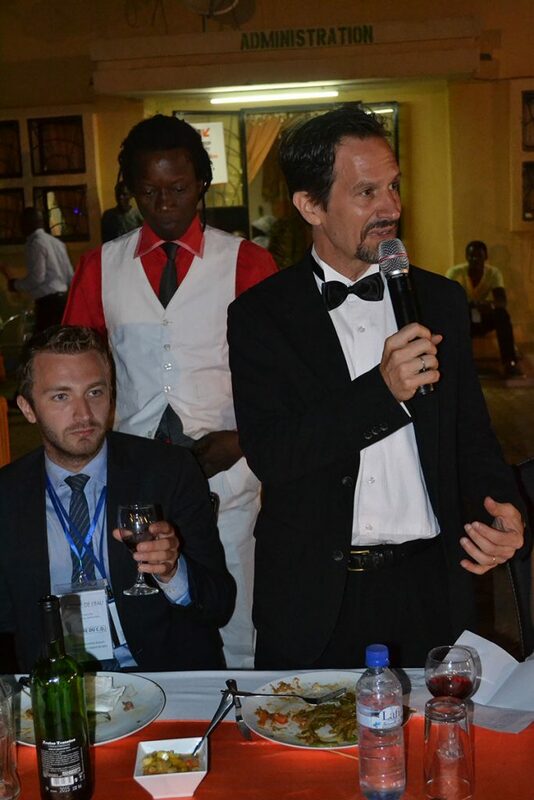 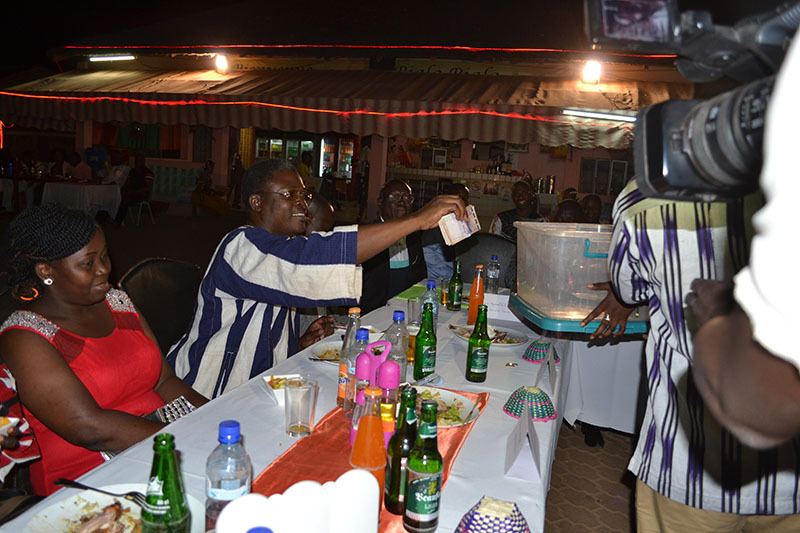 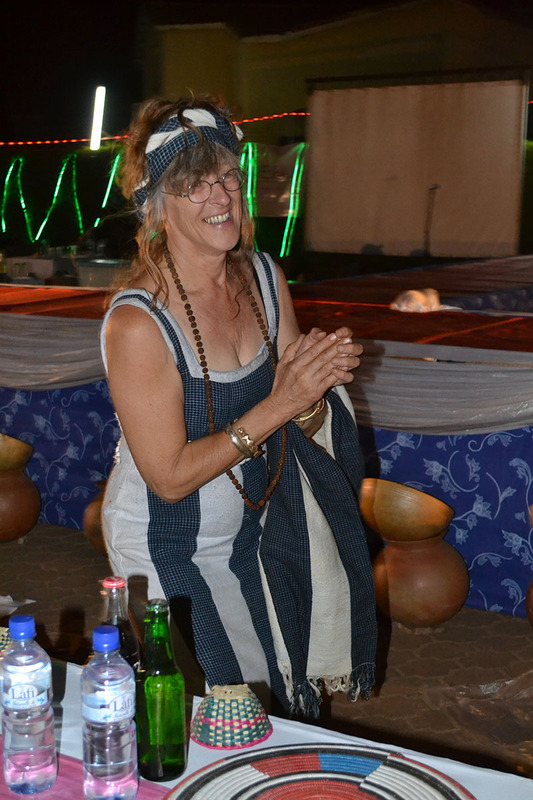 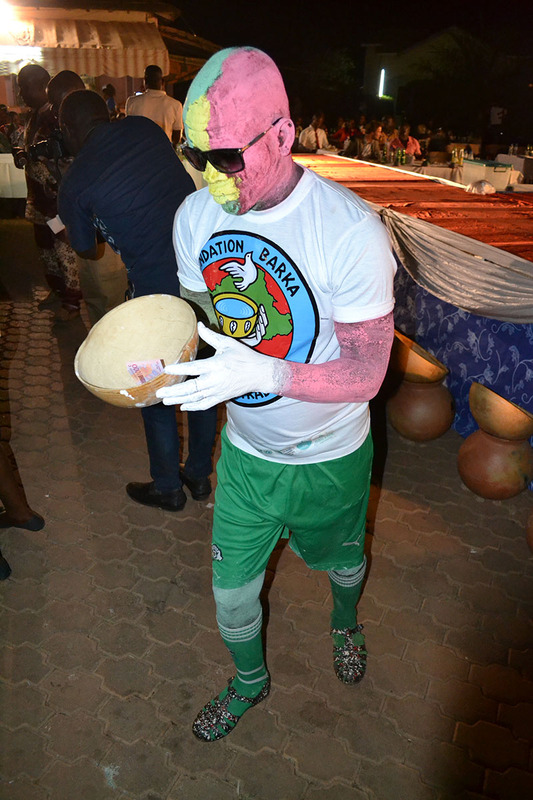 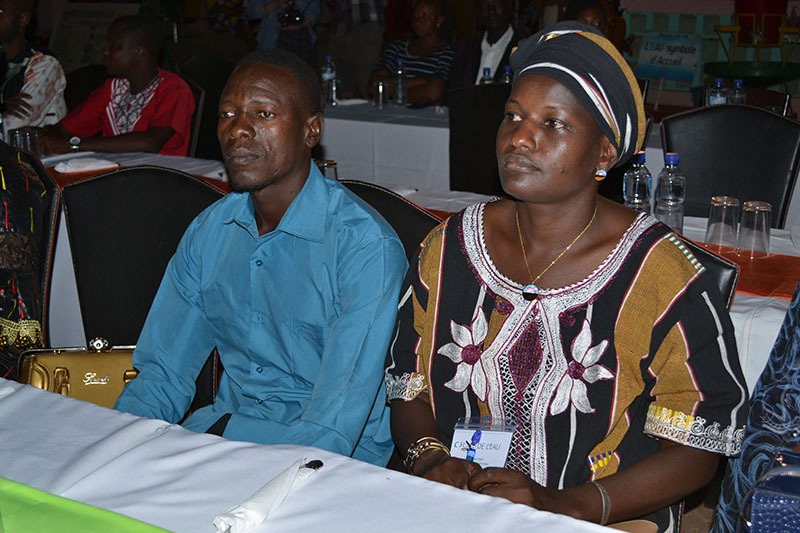 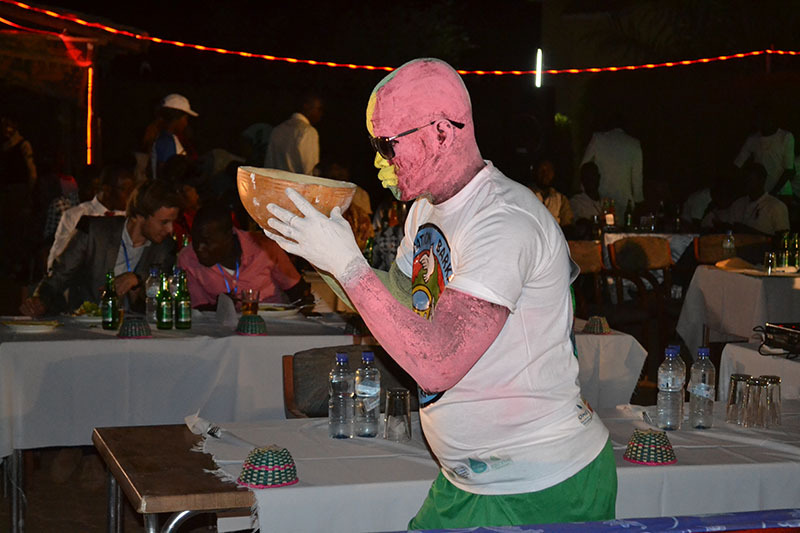 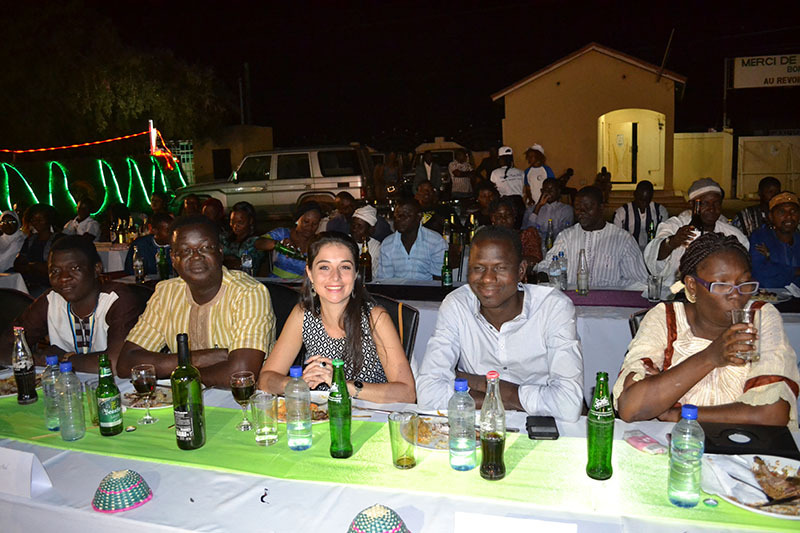 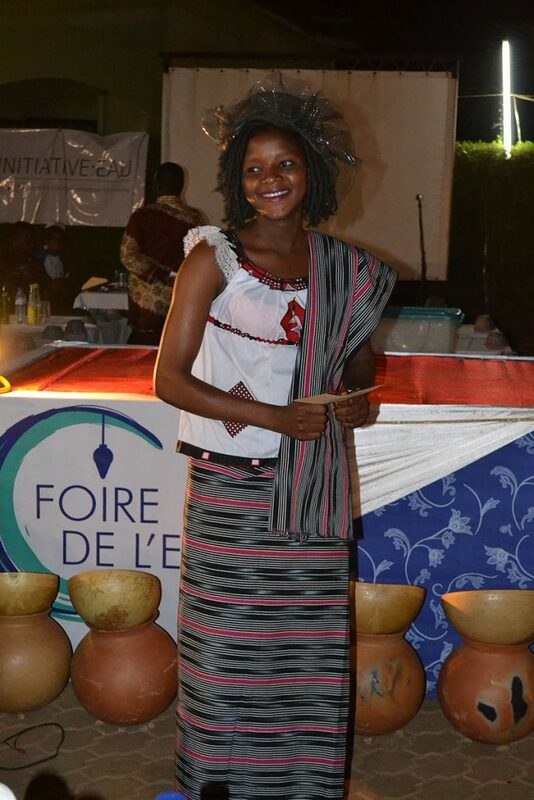 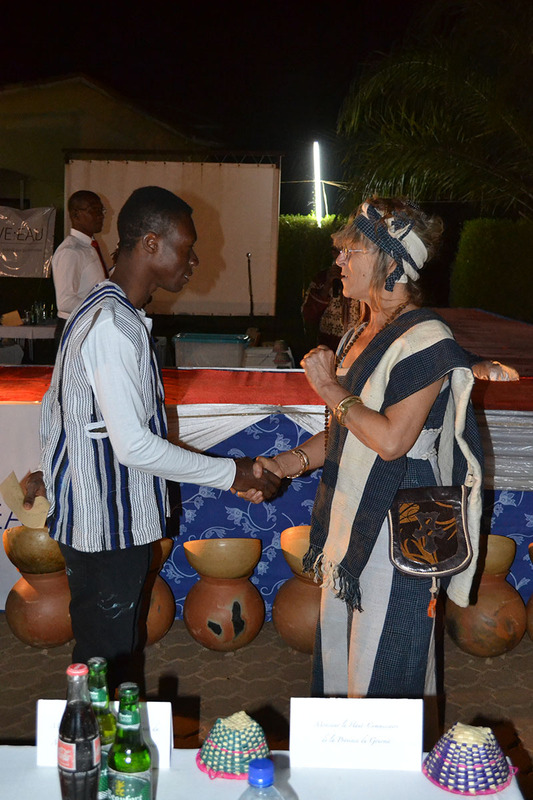 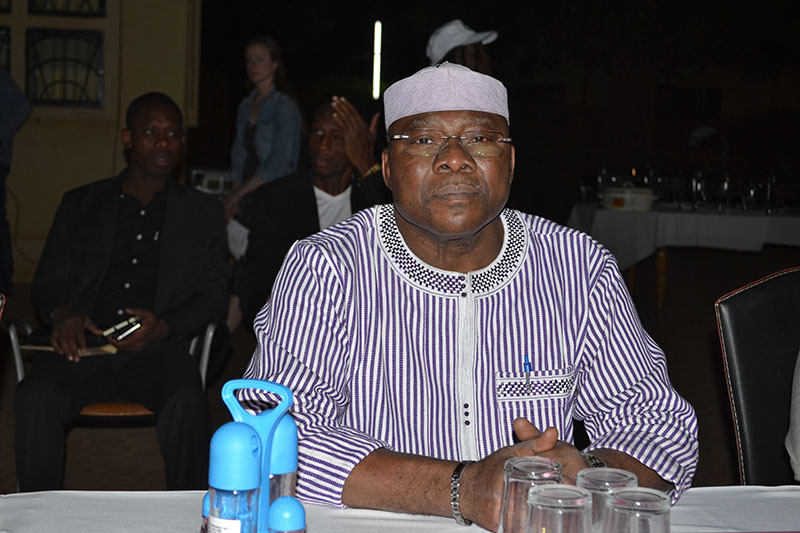 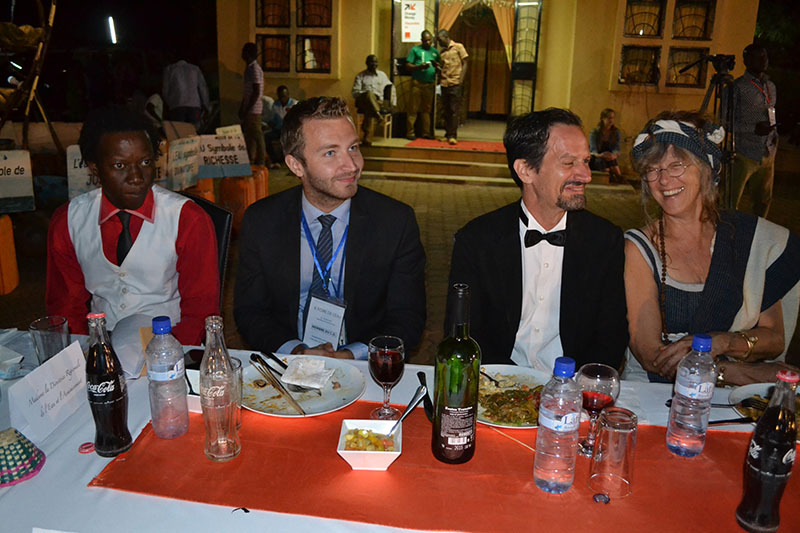 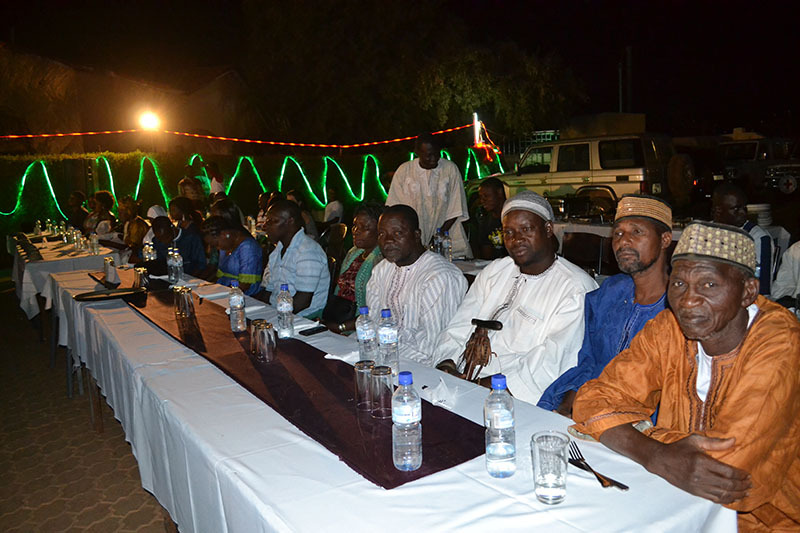 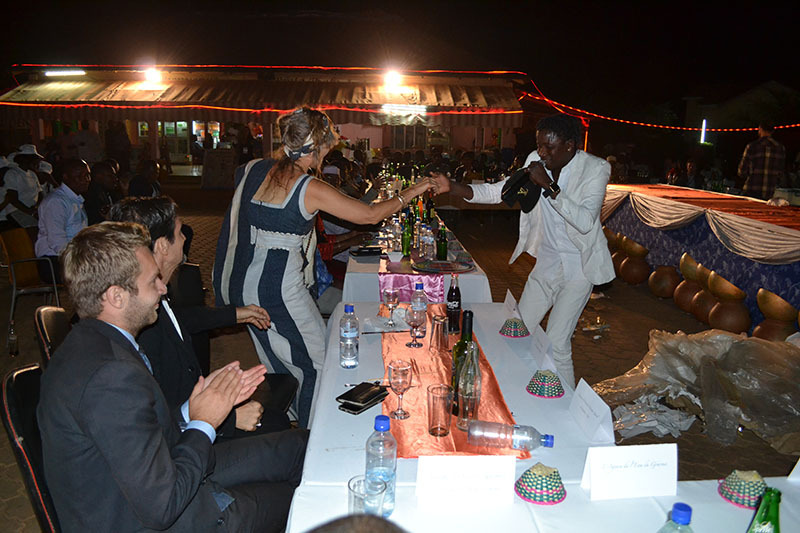 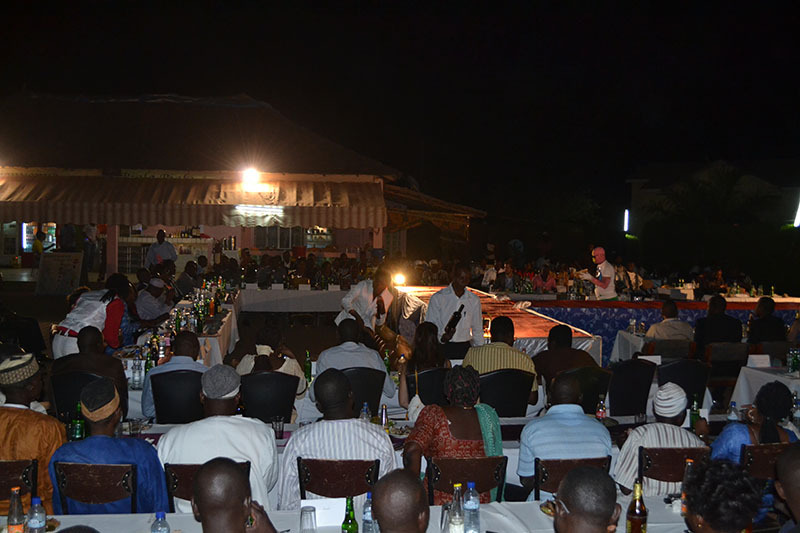 On the final evening of The Water Fair there was a Gala Dinner to launch the International Water Fund, a financial mechanism to fund water projects in the eastern region. 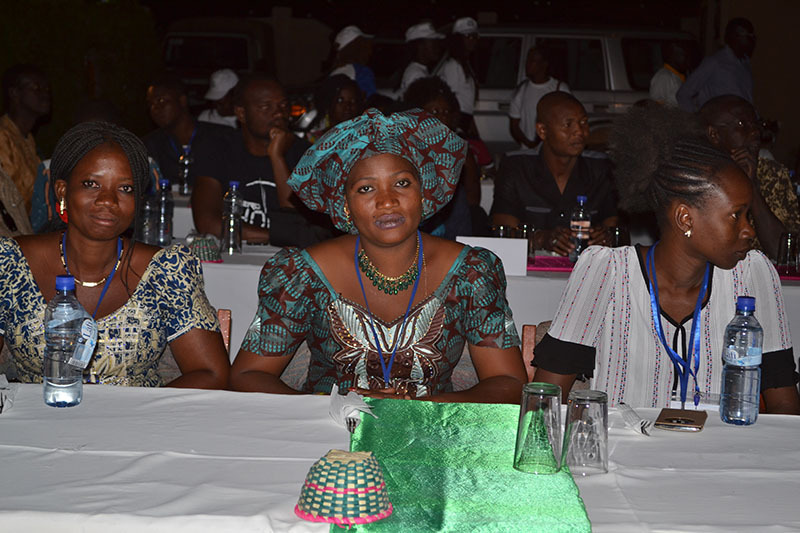 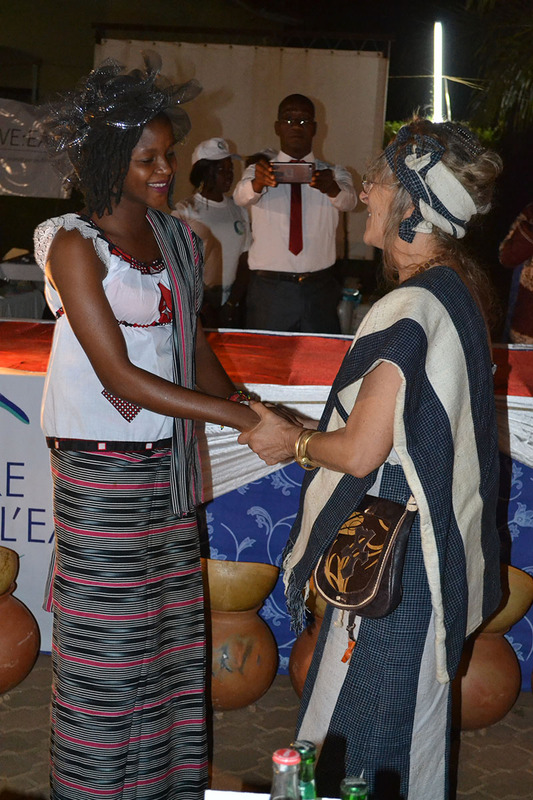 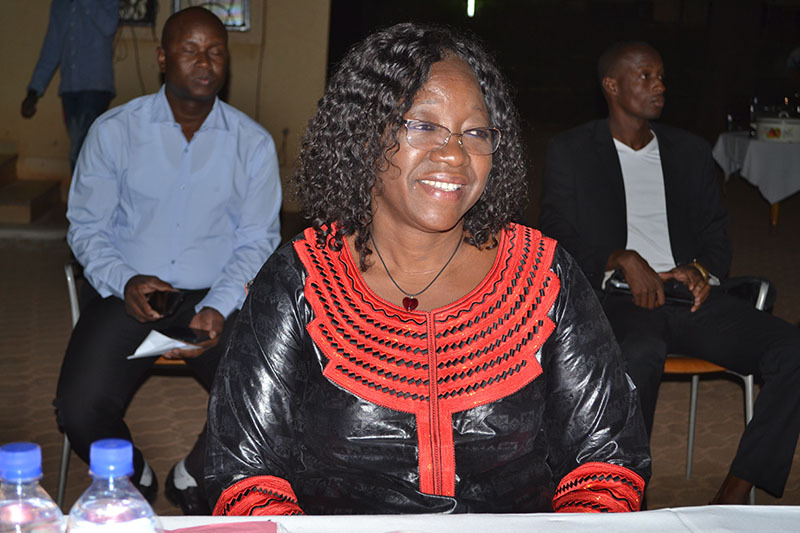 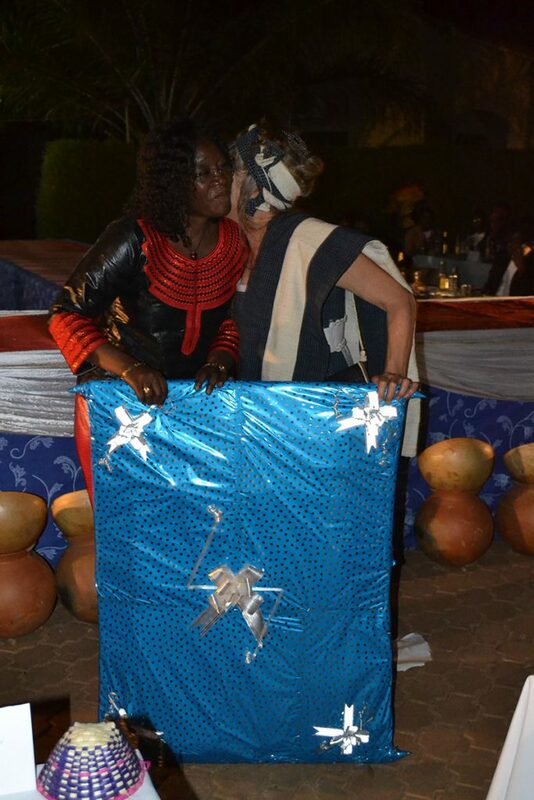 The Godmother of the Gala was none other than the First Lady of Burkina Faso, Madame Sika Bella Kaboré. 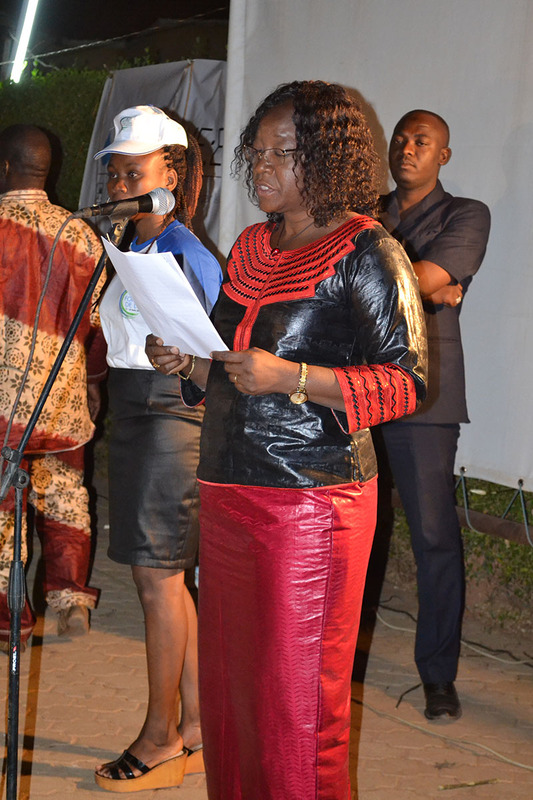 She inaugurated the Water Fund with a generous $2000 donation, followed by the Minister of Mines, Oumarou Idani, who made a $1000 donation. 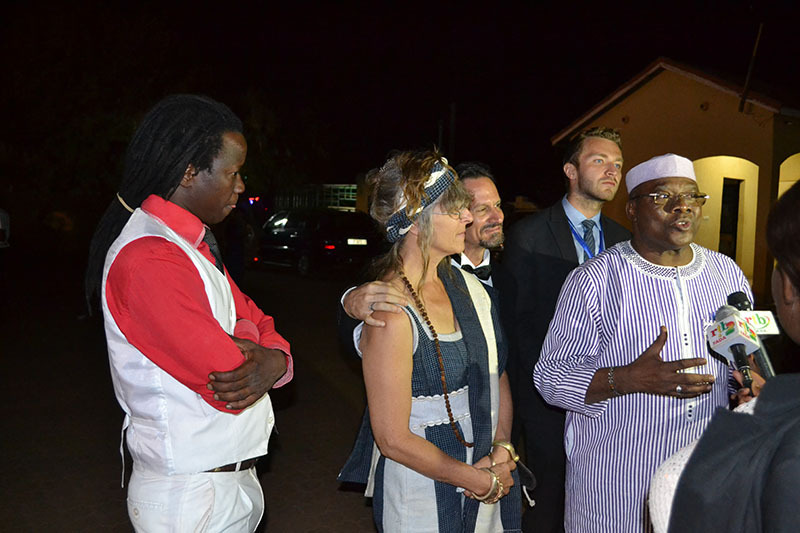 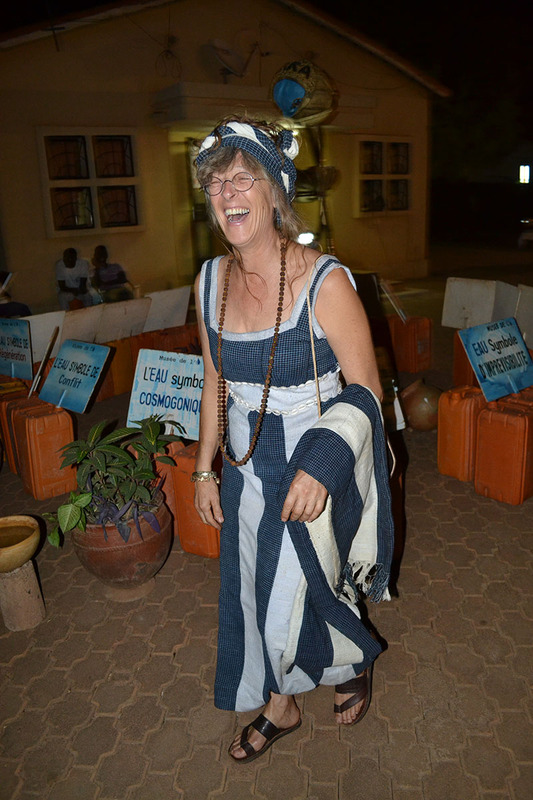 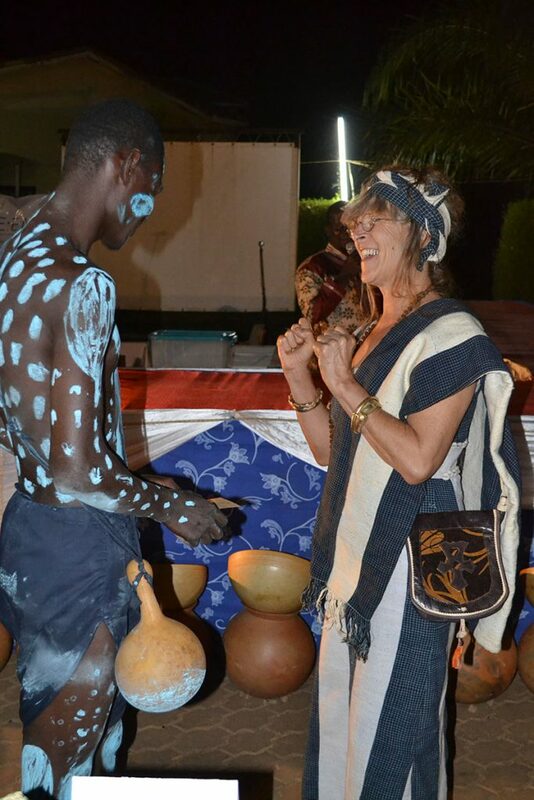 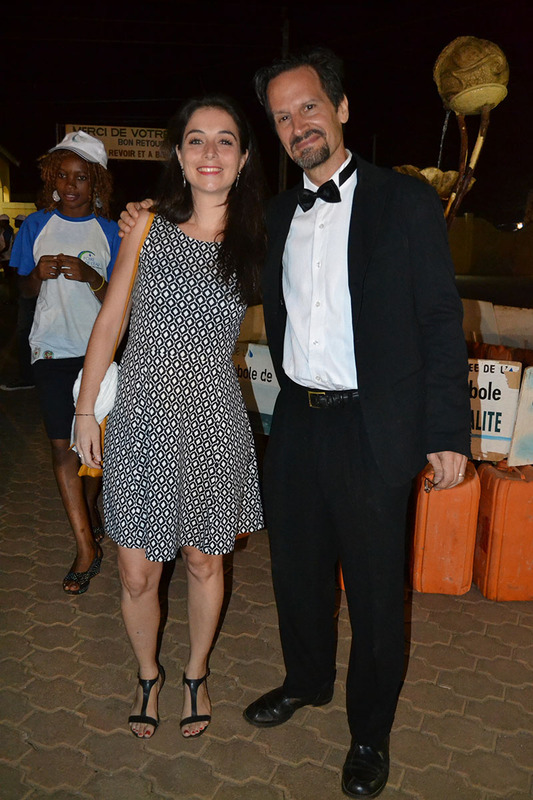 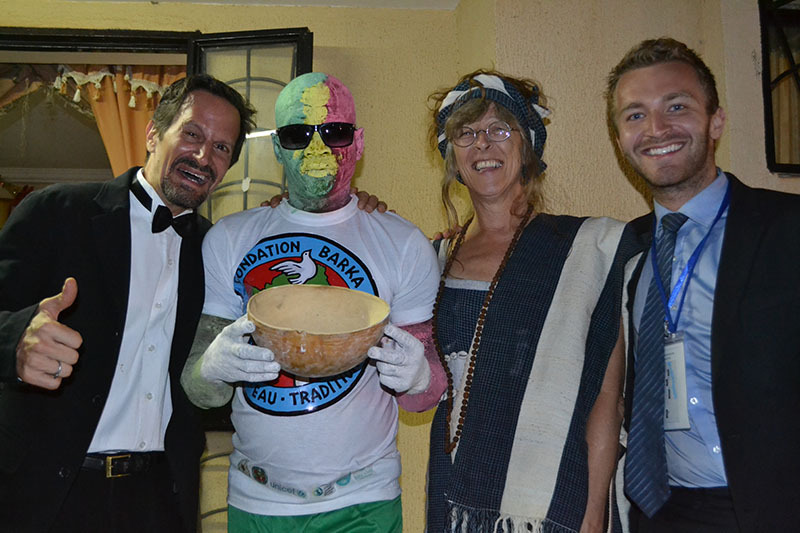 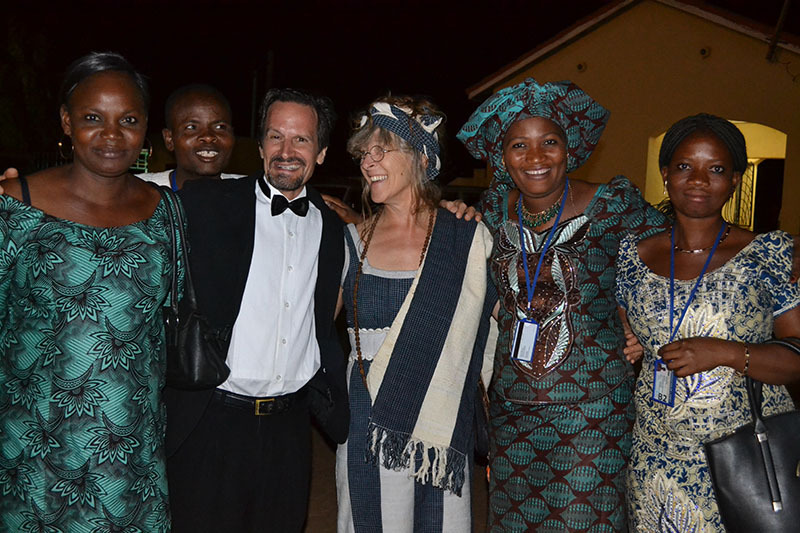 Donations were also made from US citizens and throughout Burkina Faso. 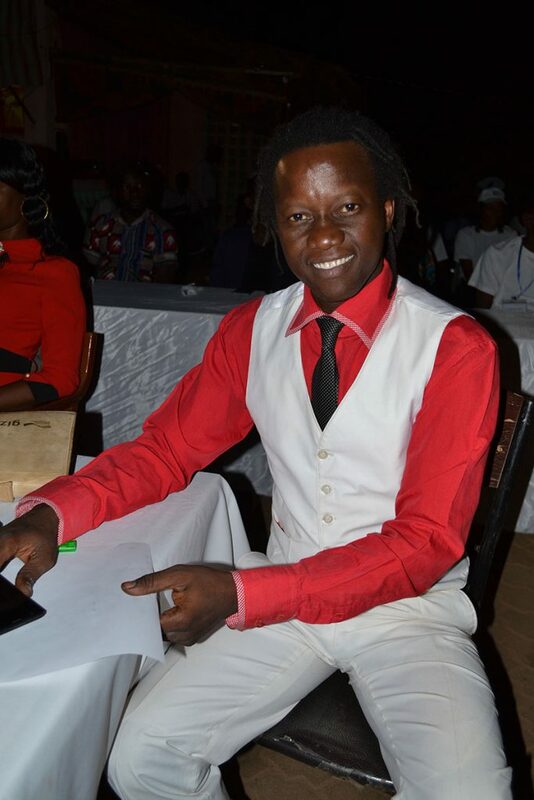 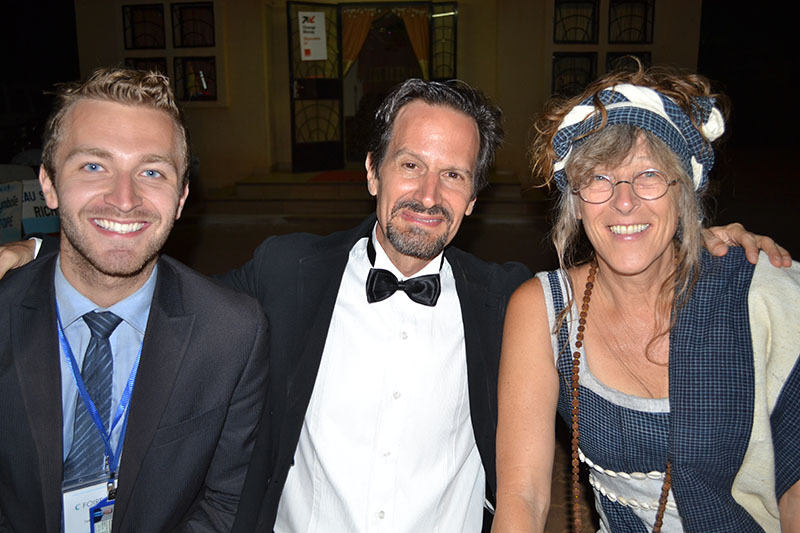 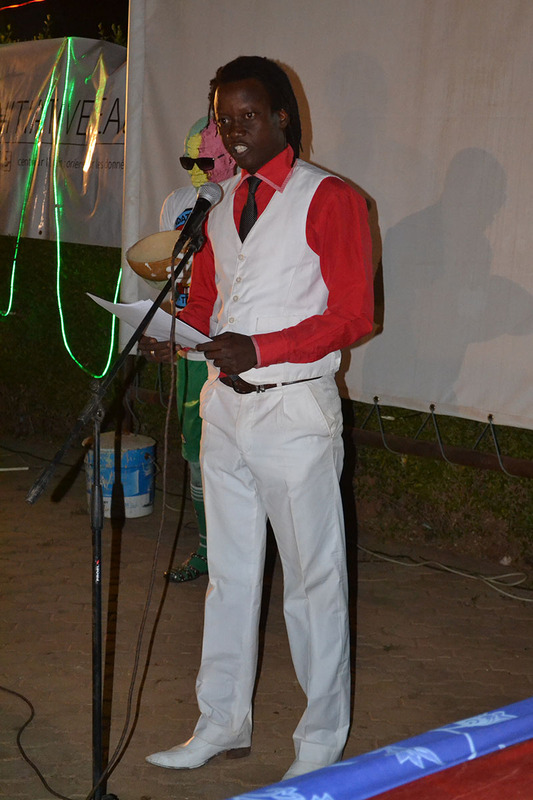 Several top artists also performed at the Gala, and the evening culminated with a Fashion Show. 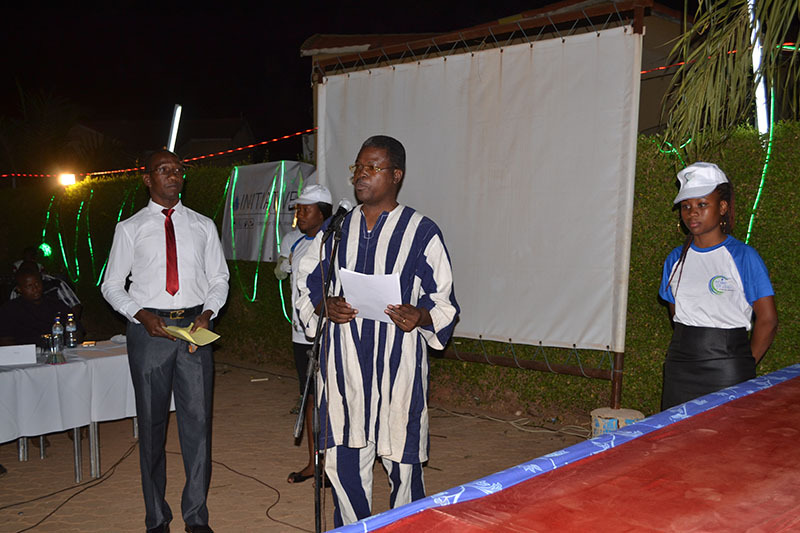 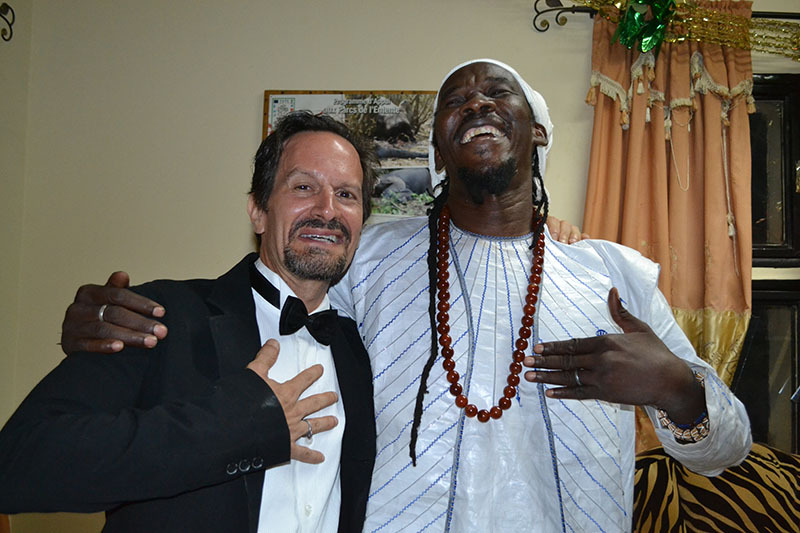 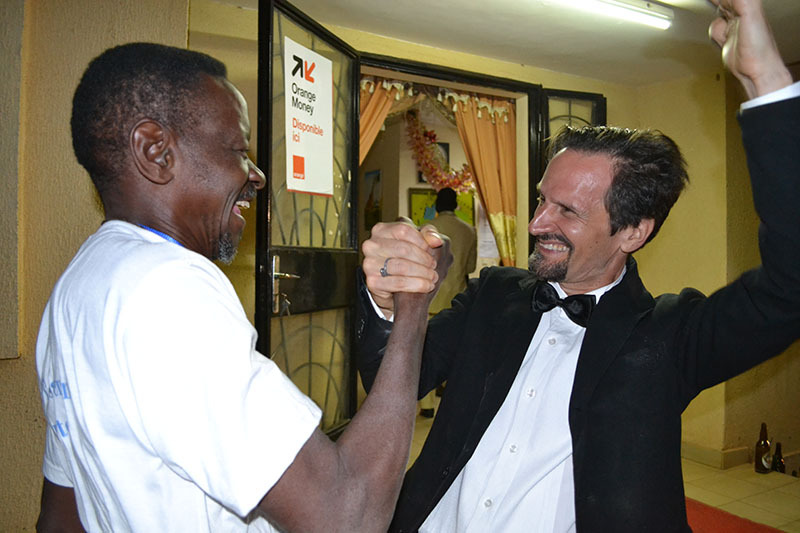 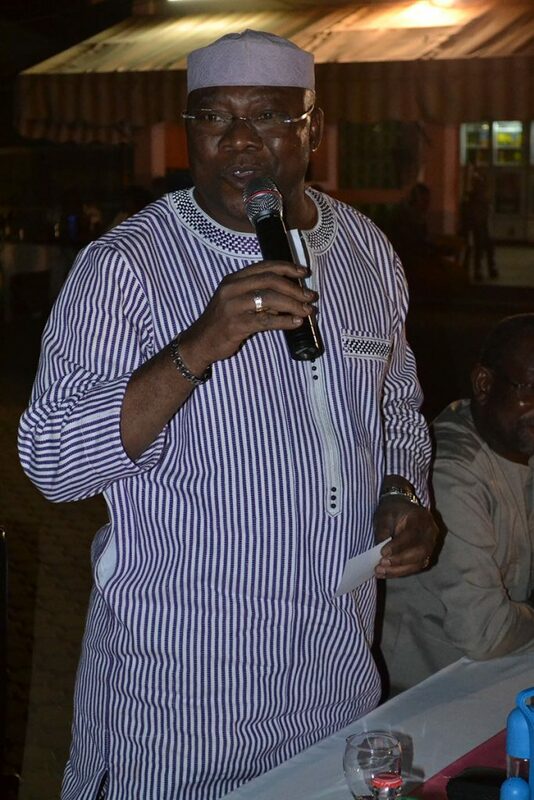 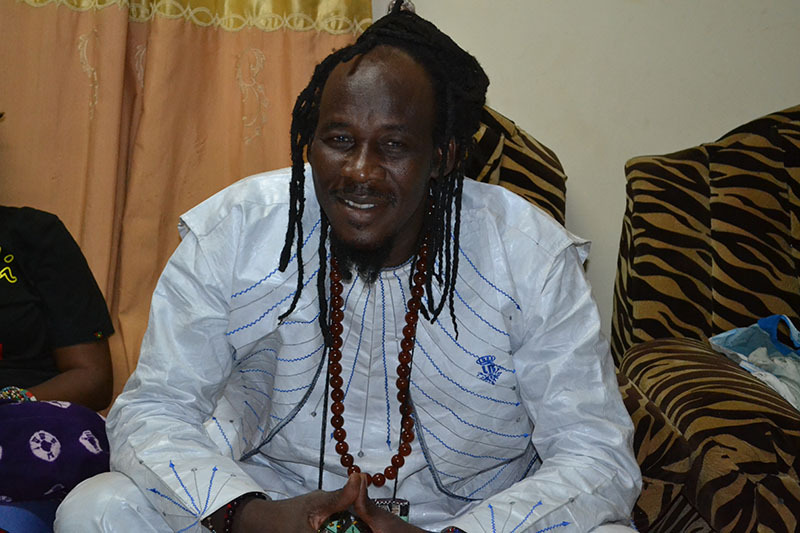 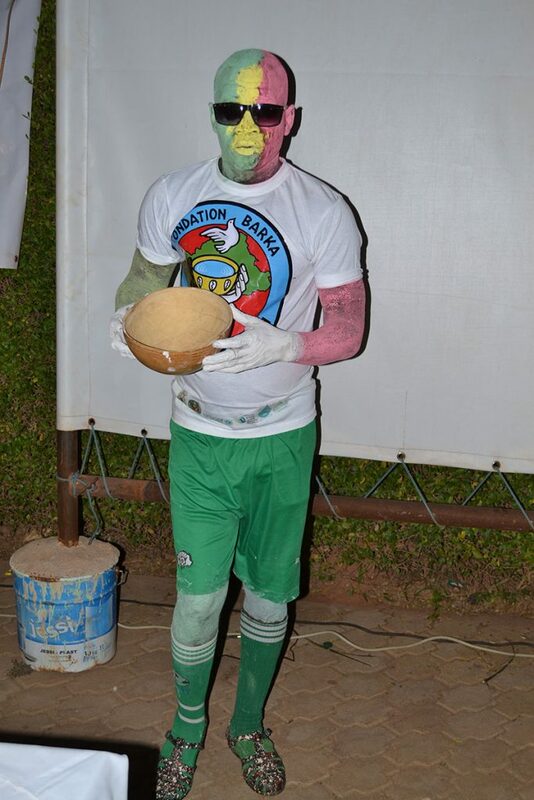 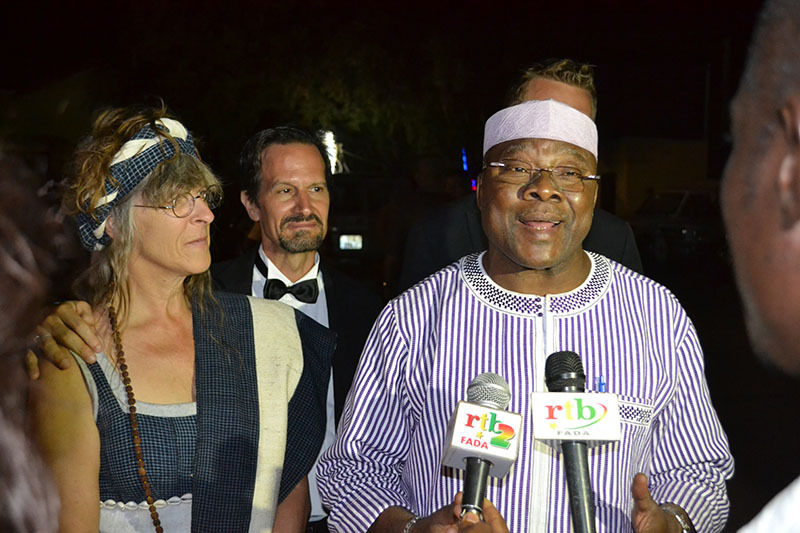 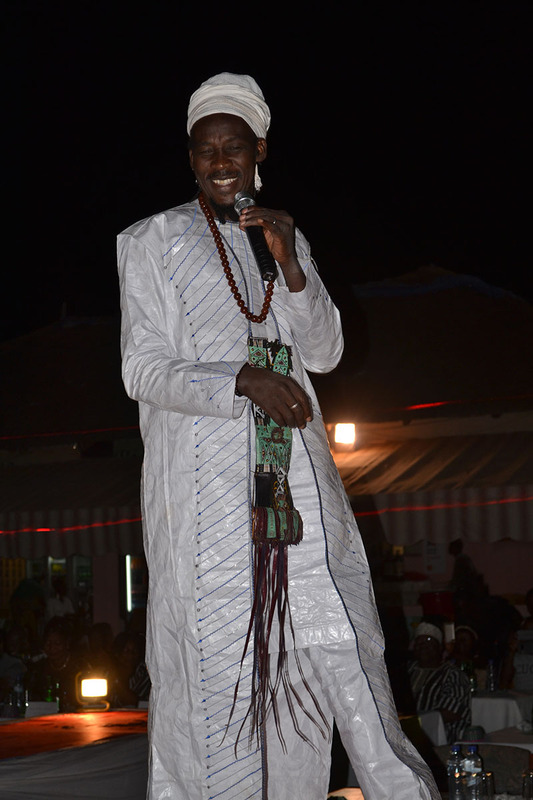 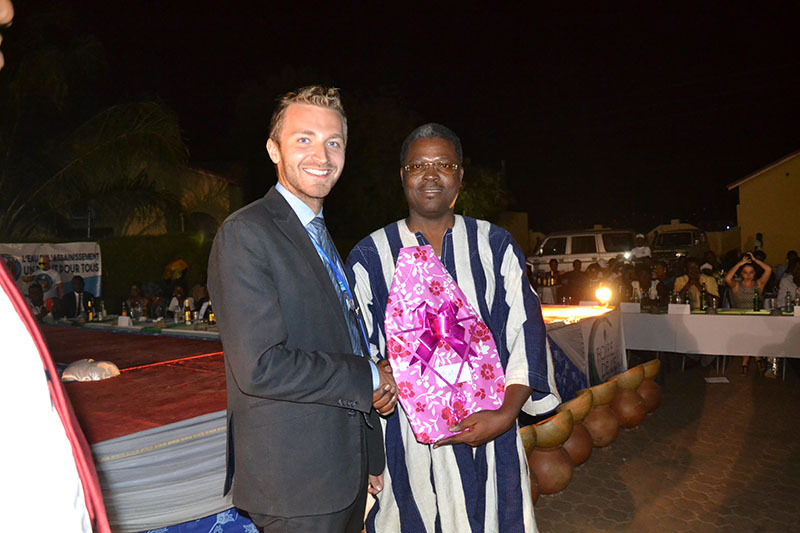 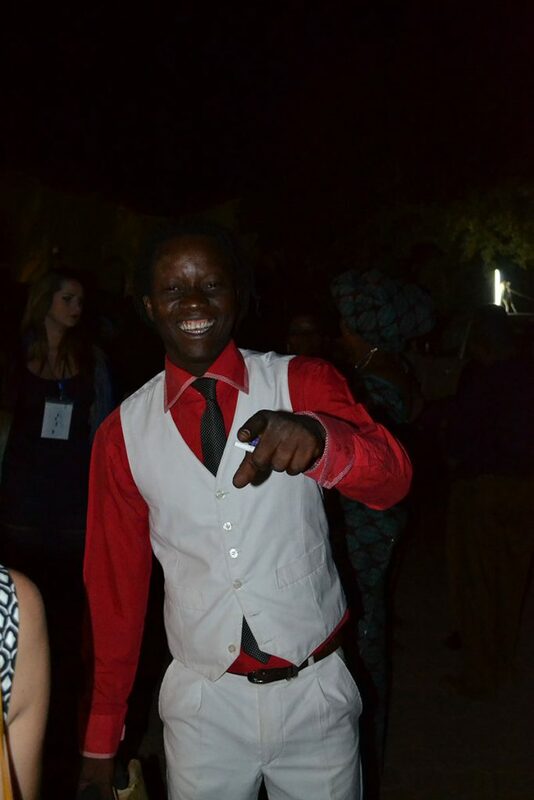 RTB, Burkina’s national TV and Radio network, covered the event. 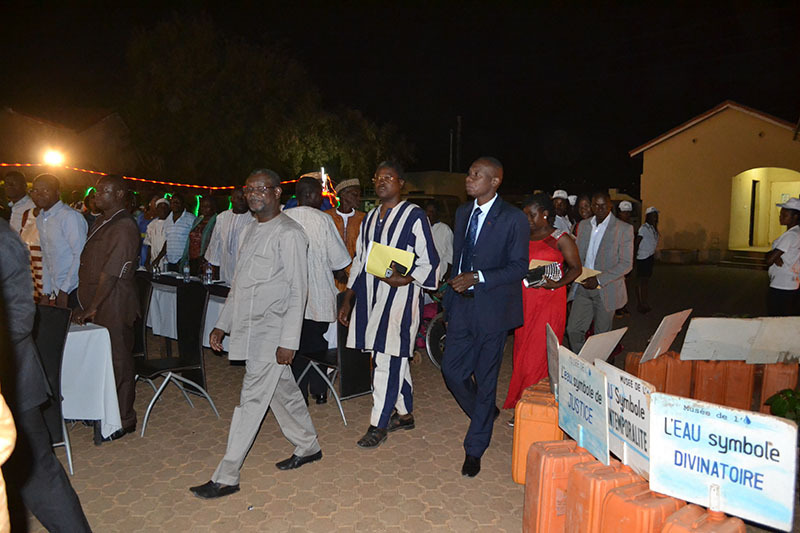 Not a very good photo, but the only one of the 4 primary organizers of the Water Fair.